This interview is a comprehensive look at Election Fraud American Style! PART ONE highlights the stolen elections of 2000 and the way the Democratic Party complied in the oligarch's evil slide to destruction. 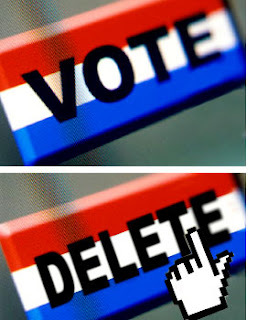 PART TWO exposes electronic voting machines and the privatization of "Democracy." PART THREE talks about a COINTELPRO paper saying that the oligarchy decided to "Hand pick" a "Black Messiah," to prevent the rise of persons like Malcolm X and Martin Luther King, Jr who "excited the Negroes."